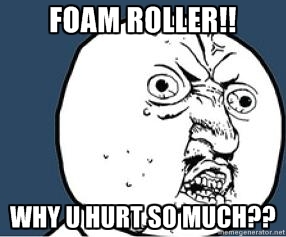 If you’re wondering what the heck are those foam rollers are at the gym and why are people flopping and rolling around in a pile on the floor, don’t worry. I’ll try to answer why people are foam rolling. I didn’t know about foam rolling until relatively recently. The first time I saw foam rolling was when I was doing my internship to gain hands on experience for my CSCS at my local Parisi Speed School. If you want to know more about the CSCS credential, check out my blog post here. The day after I saw all the athletes rolling around, I was at my Physical Therapist’s office shadowing him for my hours to apply for physical therapy school. I asked him what foam rolling did and he replied saying that it’s just like manual therapy, although it won’t be as pinpoint as having an actual therapist get into the tissue. So what’s exactly foam rolling? Foam rolling has been thought by many as the poor man’s massage therapist. Not everyone can afford to go to one everyday, so this is probably the next best thing – other than being married to one I suppose. Anyways, foam rolling using a technique called Self Myofascial Release or SMR. Without going into technical jargon to confuse you all, it makes the muscle more relaxed and more pliable to work with. Good! First, you need yourself at least a foam roller. Some suggested foam rollers can be seen near the bottom of the blog post. Foam rollers are good for the large muscles that can rolled with body weight. 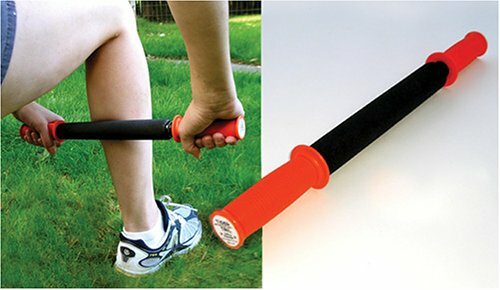 Other areas of your body need other tools like balls and stick which can also be found below. Anyways, the general idea of foam rolling is to roll with or parallel the muscle fibers. I think for the most part the way that you would naturally and most easily roll follows this rule of thumb ( like rolling up and down the thigh, not across). The key to foam rolling is to go nice and slow. It’s not a fast movement; that defeats the purpose. While your rolling nice and slowly, you can stop and concentrate on the nice tender spots you find, commonly to lay-people as knots and trigger points in the physical therapy world ( I think). A good 30s to a minute is a good time to foam roll a muscle group. Now, you will feel mild to moderate discomfort while you are foam rolling. You can control the amount of pressure, so go with whatever you are most comfortable with. The discomfort is temporary and I can say you will feel much better at the end of foam rolling and possibly after a week of use. Here’s a video from Eric Cressey on some of the basic foam rolling techniques. These are the tools that most people are familiar with seeing at the gym. 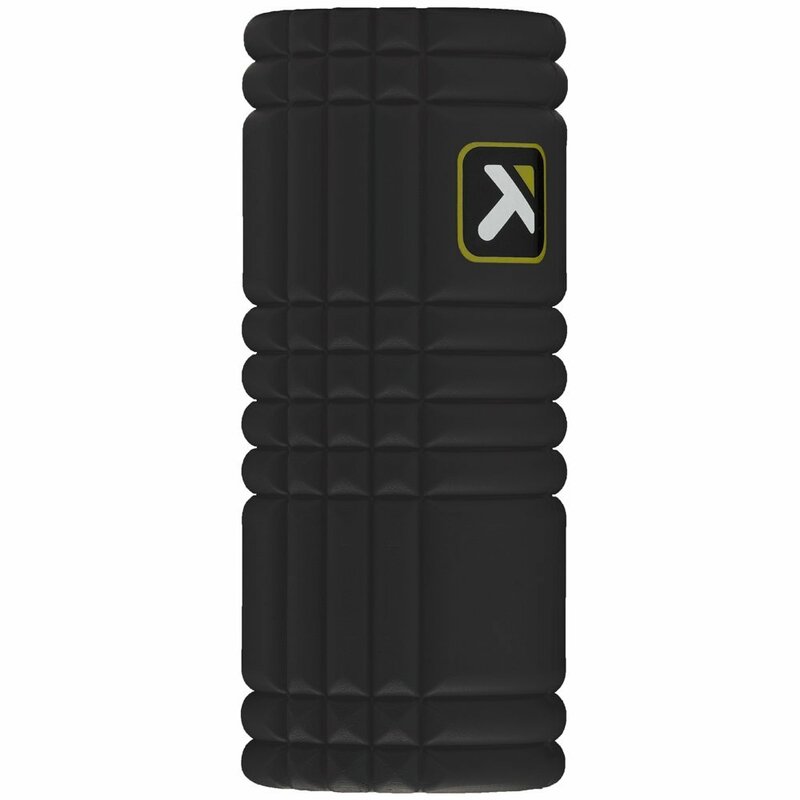 Great for foam rolling general body parts and muscle groups. Perform Better foam roller – You can get it here. These are your basic foam rollers. My local gym has them and they’re great for beginners. Don’t get the cheap ones from chain stores because they will just deform in no time. These are really high quality and shouldn’t deform for a longer time. Trigger Point Performance, The Grid – You can get it here. 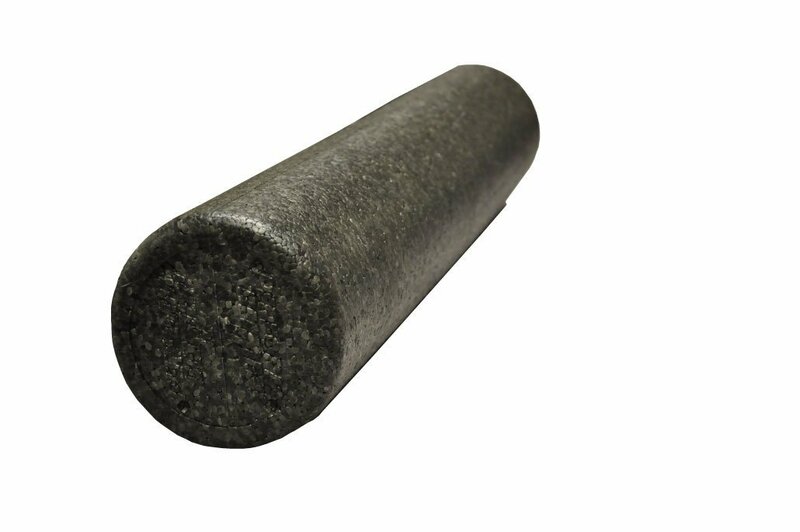 These are the high quality foam rollers. If your serious about foam rolling, get this. This is made with some high quality materials and should last a lifetime. I don’t think it’s gonna deform with regular use, unless you literally weigh a ton. These are primarily used for body parts that are more difficult to foam roll with a traditional roller like your triceps, forearms and calves… just to name a few. There are three big names for massage sticks out there. The Original Stick – You can get it here. This is the original that started it, so most people are familiar with this one. Tiger Tail Massager – You can get it here. These are made in the USA, so if you’re conscious about where things are made, and want to support local products, this is probably your best bet. 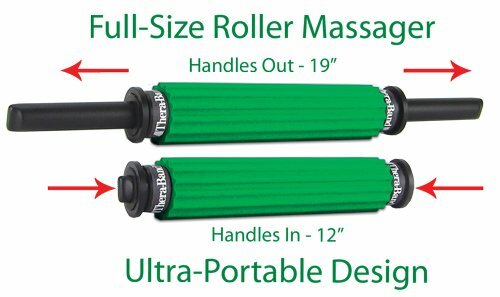 Thera-Band Massage Roller – You can get it here. These were highly recommended by Mike Reinold and I personally have and use one. 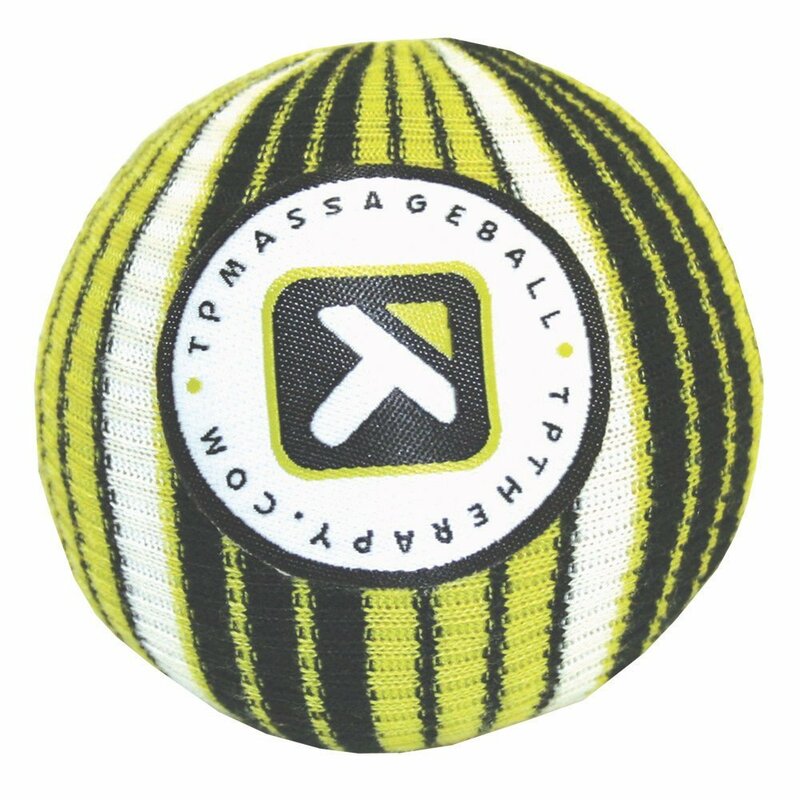 There are some actual specialized massage balls, here some that Mike Reinold again recommended. 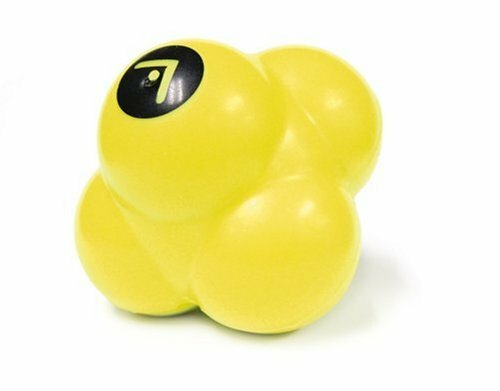 Trigger Point Performance Self Myofascial Release and Deep Tissue Massage Ball – You can get it here. SKLZ Reaction Ball – You can get it here. Foam rolling helps loosen up your muscles and makes you feel much better in the end, even though foam rolling might cause some discomfort while rolling. Foam rolling is a relatively safe activity to do, but like any activity there are some risks. Be careful of sensitive areas and be careful to not apply too much pressure as it might cut off circulation and/or pinch nerved in certain areas. 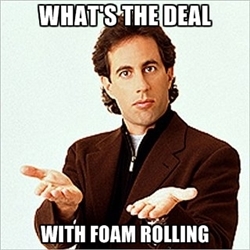 If you’re unsure if foam rolling is appropriate for you, ask a medical professional. There are lots of ways to foam roll different areas. You can Google and Youtube different parts you want to try. I just gave a general explanation and tools to roll common areas.